If one had to swim across the sea it would take great courage, great perseverance, and great faith to make that journey, and still one would not know when one would arrive at one's destination; but when one boards a ship the journey is made easy. Then one does not need to exhaust one's faith and perseverance to the same extent, because there is a mechanism at one's disposal to attain the object. Mechanism, therefore, is most necessary for the attainment of every object. If one wishes for comfort in the home one needs a mechanism; if one has a business or an industry, a certain amount of organization improves the conditions. In a state the government answers the purpose of keeping order and peace, and when it is cold one needs warm clothes, while in the summer a different environment is necessary. Now this idea is easy to understand, but to make the right mechanism is most difficult. For in the first place there are so many who have not got their object clear in their mind. They will go on day after day, not knowing what they really want, thinking differently every day, and this deprives them of the mechanism which can only be produced after knowing one's definite object in life. Very often by too much enthusiasm, by too much tampering with the mechanism, one spoils one's scheme, defeats one's object. At other times when the mechanism does not answer the purpose, one falls short of the purpose which one had in mind. One can never say that one knows enough about this subject; for in treating oneself one needs only one's own knowledge, but in arranging mechanisms one has to deal with many different natures, and one must possess much more knowledge of human nature and of life. People have often come to me and said. 'I have been able to manage myself as I was instructed, and I have been able to keep up my concentrations and meditations which were given to me, yet my goal is far from being reached.' But what is lacking is not always practice or self-training; it may be that the necessary mechanism is lacking. For instance, if a person says, 'I have been able to discipline myself and now I can meditate fairly well. Now I will go and sit at a seaport and meditate on the thought that I am in a town across the ocean', will he arrive there? Or a person with self-discipline will meditate on the thought, 'All the wealth that is in the bank will come to my house'; will it come? Even if he continues to meditate upon the bank for a thousand years he will not succeed in getting its wealth! 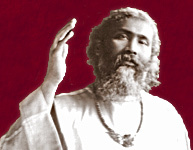 In this objective world one needs an objective mechanism to produce certain results, and if people who are on the spiritual path do not see this side of it, they will only prove that, in spite of their goodness and spirituality, they lack balance, and then the practical man has good reason to laugh at the mystical-minded person. Therefore the work of the Sufi Movement is not only to guide souls towards a higher ideal, but also to keep their eyes open on the way, in order that they may see where they are going. Sufis should give an example to those who have no belief in spiritual ideas by striking a balance throughout their lives. A person may take good care of himself and may concentrate upon good health, and yet his surroundings may be the cause of an illness. That cannot be helped; it is not lack of spirituality in that person; it is lack of materiality. Does this not show that we ought to balance the two? It does not give a person great exaltation to become so spiritual that he floats in the air by levitation, if he is no better than a balloon. It is the one who can stand firmly on earth who has accomplished something. We cannot say of every man that he stands on his own feet. Nothing in the world is worse than to be dependent, and if spirituality makes a man more dependent, in other words at the mercy of other people in the practical things of life, then spirituality is not to be wished for. Spirituality is mastery, both materially and spiritually: to be able to manage oneself and to be able to keep the mechanism right.